The Acropolis is one of the best sites in all of Athens Greece. 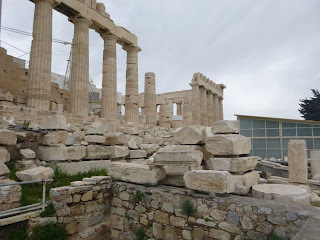 My wife and I had the pleasure of recently visiting some friends who live in Athens, and they took us on a tour of the Acropolis. 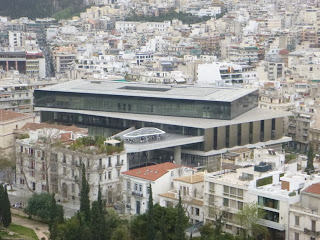 We started our tour at the Acropolis Museum, located at the base of the Acropolis hill. The big temple/ruins you see in the photo are from the Parthenon. 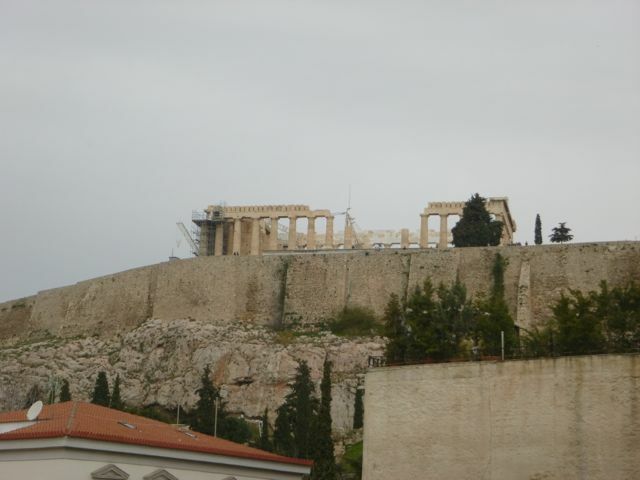 The greeks are currently working to restore the temple and the East end is under significant construction. I would suggest you stop by the museum before you head up to the ruins. The structure was constructed around 430- 440 B.C. On clear days it makes a wonderful picture. Our day had some overcast. 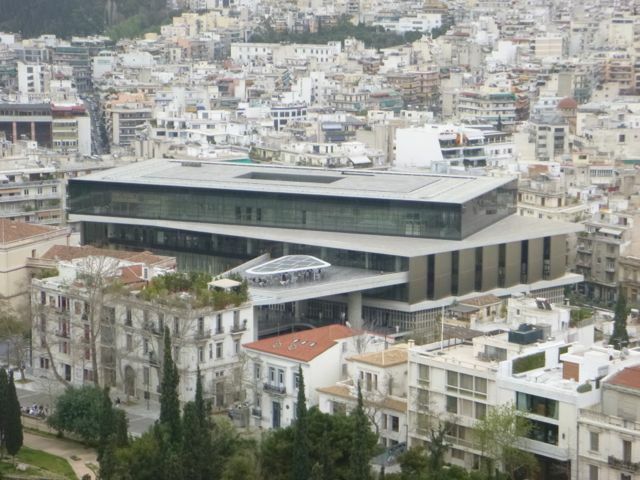 The museum can be sen from the Acropolis. It has been open since 2009. Many of the artifacts that are found at the Acropolis are placed inside the walls of the museum and are restored. They use the latest lazer technology while working on the samples. There have demonstration for the public, along with a gift shop and cafe. The prices are reasonable. We had a turkey and cheese sandwich. You can see that the ruins are in excellant shape. The times have been had on the Acropolis. There has been looting and even a bombing or two in its history. Most of Athens has graffiti all over the place. But the Acropolis is pretty clean of graffiti. A must see if you are ever in Athens. Such beautiful pictures! I've never been to Athens so I can only imagine just how gorgeous it is in real life. That's nice they've kept it free a graffiti. Awesome! Athens is one of the many places I hope to visit one day!